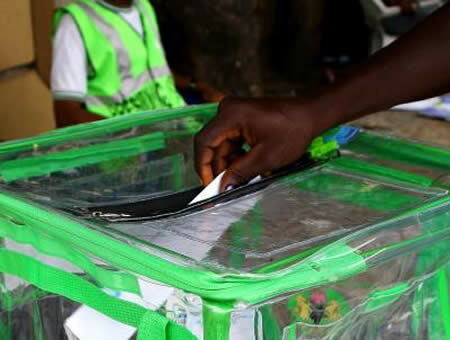 As the elections draw closer, the General Superintendent of the Assemblies of God, Nigeria, Rev Dr Chidi Okoroafor, has urged Nigerians to vote whoever they want to lead them according to their conscience. Okoroafor, who was in Calabar for the City Gospel Bells Invasion Crusade tagged â€œTotal Freedomâ€ also urged the Independent National Electoral Commission (INEC) to ensure that the vote of the people counts. The cleric, who said they have already committed the upcoming elections to God, urged Nigerians to eschew violence in the upcoming elections. He also visited the three monarchs of Calabar, the Obong of Calabar, Edidem Ekpo Okon Abasi Otu V; the Ndidem of the Quas, Ndidem Patrick Inok Oquagbor V; and the Muri Munene of the Efuts, Muri Munene Itam Hogan. â€œWe have prayed. Politics is like a game. You can either win or lose. You donâ€™t shed blood because you want to get to the throne. Let everybody know that it is God who puts kings. Somebody may win an election and God would decide he would not be the leader. He can decide to remove you midnight before your inauguration. You can die. So everybody should be careful and I want to advise that everyone should do their job by voting, follow your conscience. â€œI want to challenge that umpire, INEC, to make sure that votes count because one of the things that discourage voters is when they are not sure that their votes would count. Then they say what is the need going out to vote. But a kind of orientation is taking place, and we have been told that the votes would count. Please let INEC make the votes count. Let us not mortgage this nation because of money,â€ Okoroafor said. Okoroafor said they came into Calabar with over 1, 000 crowned evangelists for the City Invasion. â€œWe are into Calabar with over 1, 000 crowned evangelists, who will comb the city from house preaching the gospel of emancipation. What we call personal evangelism. Then in the evening, we would gather at the stadium for evangelistic crusade. We are believing God it would be a period people would encounter Christ, and encounter salvation. Of course God will back his words with supernatural demonstration. We expect that healings would take place and God would deliver people and great things, which cannot be expressed in human language would actually happen. â€œWhen God is in charge anything can happen. I want to say that the Lord Jesus has taken over Calabar and we are just here to be witnesses to what the Lord had done already in this place.